When reading Frankenstein, I couldn’t help but notice it strikes similarity to another classic 1980’s action movie, Robocop, starring Peter Weller. This movie is…well…about a robot cop, but is much more complicated about that. More specifically, it is about a cop that gets in an accident and to bring him back he is the test subject of a new technology program which turns him into basically a crime fighting android. For the younger audience out there, it is a grown up, darker version of the iconic Inspector Gadget character. 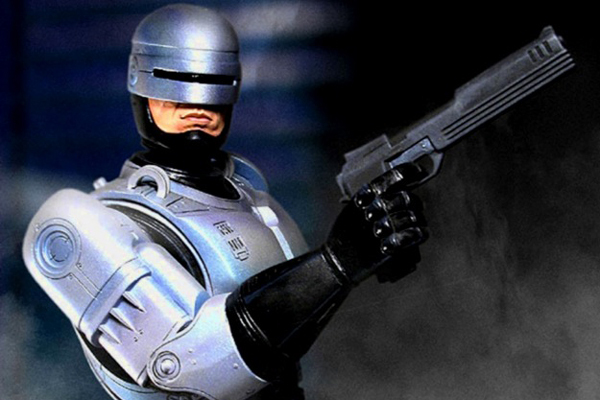 In the movie, the program responsible for the construction of Robocop is responsible for many police officers going on strike since robotic cops would put them out of work. From this point on in the movie,the parallels between the Creature and Robocop become similar. Much like the Creature, Robocop is a creation that struggles finding its own identity in the world. The Creature upon learning about his appearance and origins doesn’t quite know how he fits in to the world, besides the fact that he is an outcast, because he is the first of his kind. Robocop, having a machine body and a programmed human head, struggles between his programming and his own human memories. This identity crisis between crime fighting robot and the man behind the machine is what propels the plot line, making it more than just an action film. The Creature and Robocop both have moments where they see their true selves, they see their own reflections. However, Robocop is able to accomplish something the Creature simply couldn’t, destroy his creator. This movie , much like The Terminator, shows society’s fear of the potential of the progress being made in computers and robots in the late 1980’s. 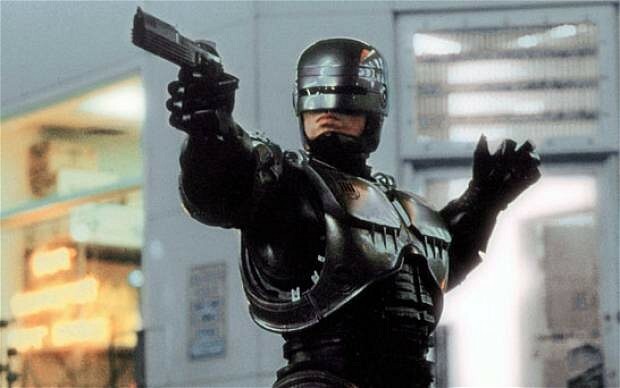 It is also worth noting that this movie is being remade, and the new Robocop is coming out next month in February. 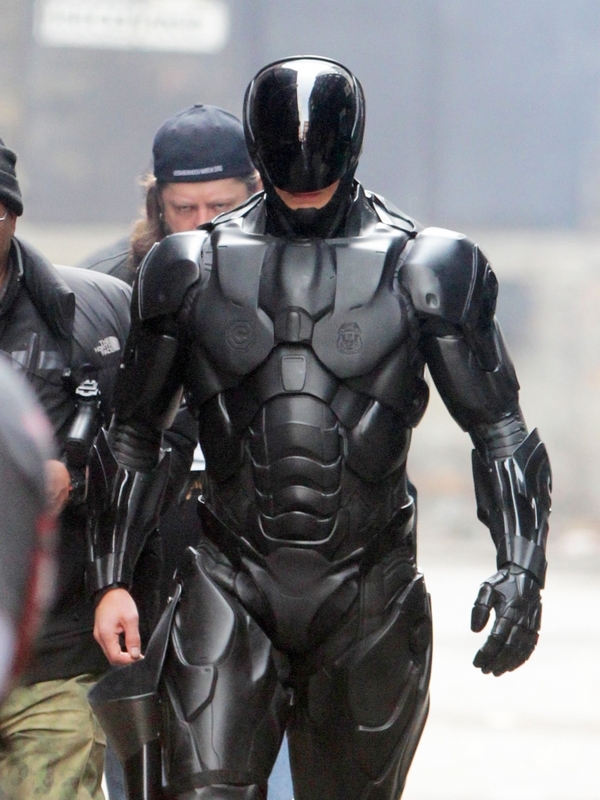 It stars Joel Kinnaman as Robocop and it also features Michael Keaton and one of my favorite actors, Samuel L. Jackson. I will be sure to post a movie review upon seeing it, but already I have one concern that I can’t shake off. Why does the new Robocop have human hands? Doesn’t that kind of take away from the robotic aspect of him when he faces enemies causing them to just shoot his hands? I don’t know if that will be an issue but it was just a thought.